At Will Tatton Architecture how something feels is just as important as how it looks. We create spaces that are both liveable and dynamic - designs that reflect who you are, how you live and how you want to live. The design process starts with your ideas, your needs, the people in your life and your future plans. We create luminous spaces that engage with nature and provide personal connections to the outdoor elements. Our studio is in the vibrant urban beach community of Mount Maunganui, in the Tauranga area of the beautiful Bay of Plenty. We are inspired by our environment, especially the stunning coast and lush countryside, to design homes that encourage the quintessential New Zealand lifestyle. Insight is an award winning architectural practice with an exceptional portfolio of work. Our completed projects include residential homes, retirement resorts, apartments, school, commercial office and industrial developments. Insight's numerous award winning designs produce sustainable, functional and aesthetically pleasing spaces; our buildings have enduring quality over time. We are a partner you can turn to throughout the project. We will support you through the process and beyond. Articulate architecture creating a dialogue.. BGA is a multi awarded architecture and design practice based in Tauranga with 18 years of experience and hindsight. We have diverse portfolio of predominantly residential projects nationally and internationally as well as an increasing commercial sector. We are enthusiastic about the architectural process, priding ourselves in creating exploratory and relevant design responses. As designers of the built environment, we make conscious decisions to integrate sustainable design practices and philosophy into our projects. We are driven to design and create exceptional spatial experiences, for everyone who uses the spaces we design. Insight is a bespoke architecture studio. I specialize in creating unique homes and interiors for my clients in New Zealand and all over the world. I believe 'Great Design' is about listening to your clients needs, understanding their lifestyle now and in the future. And you don't have to spend a small fortune either! Imagine owning a home that has been designed to suit you and your family. Like a new pair of shoes, one size does not fit everyone, I can create something perfectly suited to you and it's worth remembering that Architecturally designed homes achieve higher resale values in the future. Before I start to design your new home I have a lot of fun getting to know you and your family. Do you need a large bookcase for all of your books? Wouldn't it be great to have a big toy cupboard cleverly disguised in the family room? Do you need extra wide shelving in the kitchen to store your platters? Is it your dream to own a jet ski one day? All these 'little' details are important to everyday life, spending time on creative storage solutions pays huge dividends in the future and the costs are much lower when added to the house build process. In addition, I can visit your site and consider the environmental conditions, such as sunlight, views and prevailing winds. Positioning of your home on the site is a crucial decision worth taking time over. This is the kind of service that makes Insight stand out from everyone else. I call it my 'Design Discovery'. TIBBITS & CO led by Pascal himself, focuses on designing sustainable custom homes, where form and function provide lasting comfort. With over 25+ years industry experience, Pascal is known as having worked on some of NZ's finest properties. He also has extensive background in landscape design where he has been awarded numerous accolades. 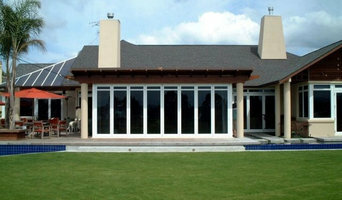 His experience allows him to offer complete packages for his clients, which includes indoor + outdoor design. If you’re building a new home or landscape, Pascal will guide you through the process of property research and analysis to determine the best course of action for your family, home and investment. ARTO Architects Ltd are an NZIA Practice that abides by the NZIA Professional Code of Conduct and ‘Best Practice Guidelines’. We use NZIA contractual documentation and Quality Assurance System. Professional staff regularly attend registered CPD programs. ARTO Architects have been established since 1990 and have offices in Rotorua, Hamilton, Christchurch and Whangarei with contract staff in Auckland. We currently have a 16 person professional team and the larger architect's practices in the Bay of Plenty/Waikato. We have a wide range of experience at various levels on many different types of project. Roger Course Architect is an award winning NZIA Registered Practice located at Waihi Beach in the Northern Bay of Plenty. Since establishment in 2000 the practice has specialized in contemporary one off residential projects, both new buildings and additions. Committed to the making of quality spaces the practice uses a design process that focuses on the unique values of clients, their requirements, the site context and the aesthetic opportunities available within the budget constraints. Our aim is to create comfortable, supportive, inspired, and environmentally responsible spaces, which engage, excite and respond to their individual situations. We are a Mount Maunganui based small business with a team of 6 fun loving and creative people all working towards a common goal of providing excellent design solutions across all architectural disciplines. We pride ourselves on forming long term positive relationships with all our clients through listening and engaging in collaborative design approaches. Our team of talented Architects and Project Managers have a clear and proven history of providing quality services and adding value to clients projects. We present a balanced mix of innovation and sound practice for all our projects. Our medium sized practice, by nature, is very ‘user friendly’ and looks to establish a team environment in which to produce project solutions. 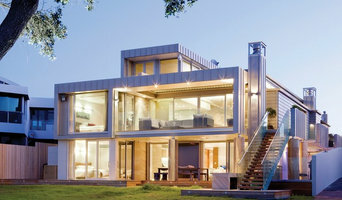 Cullen Keiser Architecture has just under 40 years experience in New Zealand. It was formed by Daniel Cullen and Neil Keiser. Cullen Keiser Architecture is a Waikato and newly Tauranga based practice working nationally and internationally. We design places and spaces that perform with leading edge design and environmental responsibility. Our focus is to provide a professional quality service that stands out among others and that is reflected in our design. 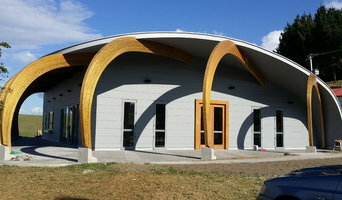 Our biggest marketing tool are the buildings we design and clients we work for. Their referral is where the majority of our future work comes from. It is important we keep good relationships to further increase our profile. Cameron has undertaken projects that are predominantly in the Bay of Plenty and Western Bay of Plenty regions; works have also been commissioned in the Coromandel, Ohakune and Waiheke Island as well as in Hawaii. Design and Light works in the residential, commercial, health, educational and retail markets. Cameron has a passion for modern design and is inspired by one of architectures greatest designers, Frank Lloyd Wright, for his forward thinking revolutionary design work. Having spent over five years living and working in Europe and Asia Cameron has enjoyed the opportunity to visit some of the world's greatest architecture. He has absorbed the minute and technical details, storing them in his mind's library of knowledge awaiting a time to emulate these in his own fantastic work. Cameron desires to create environments which will remain a pleasure to inhabit long after they have been constructed. Millennium Architecture is an award winning business that has been operating for over 13 years. During this time it has been involved with a wide variety of different projects ranging from high-end residential design and builds to commercial projects as well as conventional homes. Our office is based in the peaceful and tranquil village of Lake Okareka surrounded by lakes and native bush. If your renovation is more than a simple benchtop replacement or roof re-tiling job, then it may be time to find an architect in Tauranga who can manage your project from start to finish. Depending on the architecture firm you hire, the scope can span from planning sustainable design into your renovations, to selecting furniture and even interior finishes. An architect is often the first person you hire for your project. Before taking steps to find an architect in Tauranga, ask yourself what you want to achieve from your renovation or home construction. Do you want to improve the liveability and sustainability of your home, or simply expand? What style of architecture do you prefer? Once you have established your motivation, research architects that have completed similar house designs in your Tauranga locale and within a comparable budget to yours. Ideally, your Tauranga architect will be involved in all phases of the design process, from the initial concept to the completed construction. Your architect may be needed to select and hire subcontractors (e.g. builders, engineers and landscape architects) just as they may need to negotiate contracts with stakeholders. A good client-architect relationship will ensure they are your biggest advocate along the way during construction. Find residential architects on Houzz. 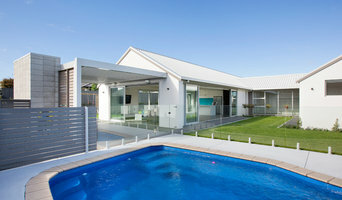 To find the best Tauranga architect for your home design project, narrow your search to find professionals in Tauranga. Then browse their latest projects and read reviews. You can also look through photos of projects to find an interior architect or designer who has worked on a project similar to yours.